Want to create a page on Facebook? This brief guide will show you how to do it. Once you have done that, scroll down to the very bottom of the page. There, among the footer links, you will see one that says “Create Page.” Click on it. Once you have clicked on that link, you will be directed to a form. There you will see six categories, but basically you will have two options. If you want to create a page to support a cause or just for fun, click on the box that says "Cause or Community." If you are a representative of a real business, organization, or public figure, and you want to create a page for any of them, choose the corresponding option among any of the other boxes. Each type of page has its data requirements, and Facebook's interface will guide you through them. Since it's the most common type of page, in this guide we will see the steps to create a Cause or Community page. Once you have clicked on the Cause or Community box, enter the name that you want your page to have and then click on Get Started. A message indicates that by clicking on Get Started you are agreeing to the Facebook Pages Terms. After doing that, Facebook will guide you through several forms to set the properties of your page. You can either provide the required information or skip those forms. Finally, Facebook will propose you to become the first fan of your own page by clicking on its “Like” button, a step which you can also skip. 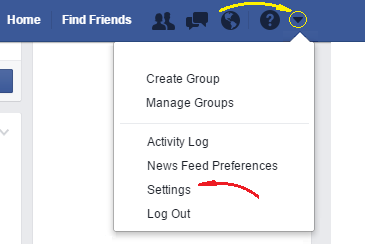 This way you will have your own page on Facebook.